Several Pakistani news outlets today are dissecting a troubling finding from the U.N. Children’s Fund: the 63 cases of polio diagnosed in the country so far this year are nearly double the 36 detected during the same period last year. The highly contagious viral disease, which attacks the nervous system and can cause paralysis or even death, is most evident in the province of Balochistan and has now spread to other areas that haven’t been infected for the past five years. The U.N., which is trying to eradicate the disease by delivering oral vaccines to children, says that these findings suggest Pakistan could be the “last polio reservoir worldwide”–the country standing in the way of eliminating only the second global epidemic disease after smallpox. This isn’t the first time Unicef has made the claim. 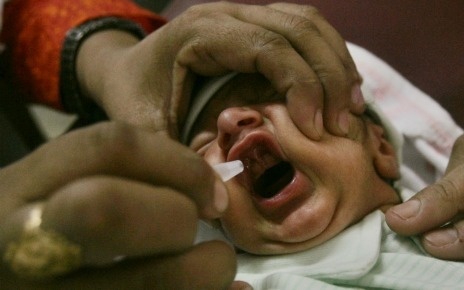 In a 2003 report, for example, the organization called Pakistan “polio’s last frontier.” But what’s particularly troubling now is that while the number of cases is dropping in India, Nigeria, and Afghanistan–which, along with Pakistan account for over 90 percent of cases–the disease is spreading in Pakistan (in fact Pakistani President Asif Ali Zardari has declared polio a national emergency). Pakistan’s Express-Tribune cites administrative blunders, resistance of local populations, security challenges for vaccination teams, and Pakistan’s proximity to polio-infected Afghanistan as reasons why the country appears to be losing a battle against polio that “we can simply not afford to lose.” Other reports say anti-vaccine messages from radical clerics and the absence of a national ministry of health are also to blame. The recent revelation that the CIA set up a fake vaccination program in Pakistan to collect DNA from Osama bin Laden’s family members, Reuters notes, may only make immunization drives more difficult.